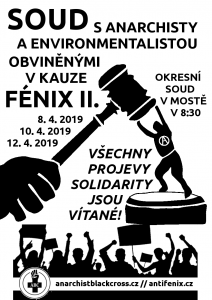 On April 8th, 10th and 12th, 2019, the trial with 4 anarchists and one environmentalist accused in operation Fenix 2 will be taking place at the district court of Most, every day at 8:30 a.m. Come to support them at the courthouse or by any solidarity action. Let them know you are not apathetic to their future as you are not towards the freedom of all of us. 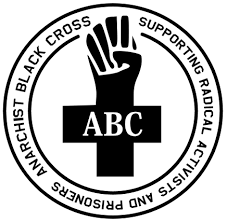 Any way of expressing support is welcomed! Do you want to join „Free community VAP“?